Born in Yabucoa, Puerto Rico, fashion designer David Antonio studied at Universidad Mundial, University of Puerto Rico and Liceo de Arte. He started his career working prêt-a-porter for several commercial brands. Later, he worked with Puertorrican fashion designer Carlota Alfaro. David Antonio is known for his free spirited style and his unique creations. His work goes beyond fashion trends, he reinvents himself and his clothes every season. That’s why he has such a loyal clientele. 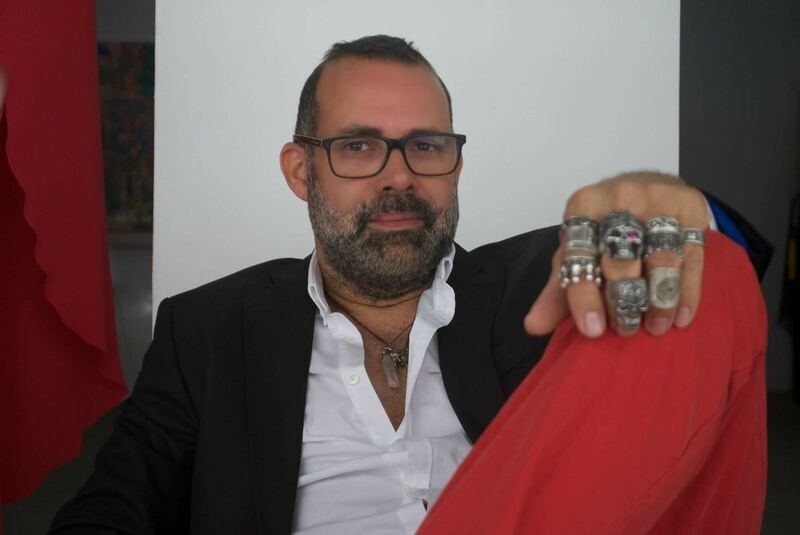 David Antonio has shown his collections in Puerto Rico since 1995. His worked has also been presented very successfully in Spain, Japan, México, Costa Rica, Panamá, Venezuela, Perú and Miami among other places. He has dressed personalities such: as Ricky Martin, Juanes, Tito “El Bambino”, Elvis Crespo, Victor Manuel, Olga Tañón, Luis Fonsi, Tito Trinidad, Menudo (El Reencuentro), Joyce Giraud, Marisol Malaret and notable high society people. He presents two annual collections in which he gathers important personalities as well as local and international press.